Second place in the initial stage group one day earlier, Chile’s Tamara Monsalve emerged as the player to cause the biggest surprise on the concluding day of action, Wednesday 23rd November, in the Copa Tango Junior Open Para tournament in Buenos Aires. A silver medallist on home soil in Santiago the previous week, when finishing next in line to Argentina’s Maria Garrone in a group organised event; the 19 year old turned the tables. At the semi-final stage, she beat Maria Garrone in four games (11-7, 12-10, 10-12, 11-7), prior to securing the title at the hands of Nayla Kueli, like Maria Garrone from Argentina, by a similar margin (12-10, 11-13, 12-10, 11-6). The success against Nayla Kueli possessed an air of revenge; one day earlier she had been beaten by the Argentine in a four games contest (11-3, 11-7, 13-15, 11-7). Currently no World ranking, Tamara Monsalve was one of two players to emerge as an unexpected gold medallist. Likewise, in Men’s Singles Class 9, Manuel Echaveguren, a player with no global status emerged unbeaten and thus in top spot. He finished ahead of colleagues Sebastian Diaz and Valentin Letelier with Peru’s Christian Veliz in fourth place. Listed at no.34 on the current Men’s Class 9 World Rankings, Valentin Letelier commenced matters as the top seed. Surprise winners but in the remaining events, it was success for the favourites. In events organised on a group basis; in Women’s Singles Class 6-10, Ailyn Espinoza, like Tamara Monsalve from Chile, secured first place finishing ahead of Argentina’s Juliana Frutos and Brazil’s Melanie Dos Santos. Also from Argentina, Candela Basma ended matters in fourth position. Success for Chile in an all-play-all event, it was the same in Men’s Singles Class 10. Alvaro Vega emerged unbeaten in top spot followed by Brazil’s Lucas Dos Santos, Colombia’s Gustavo Calvache and the host nation’s Felipe Saul. 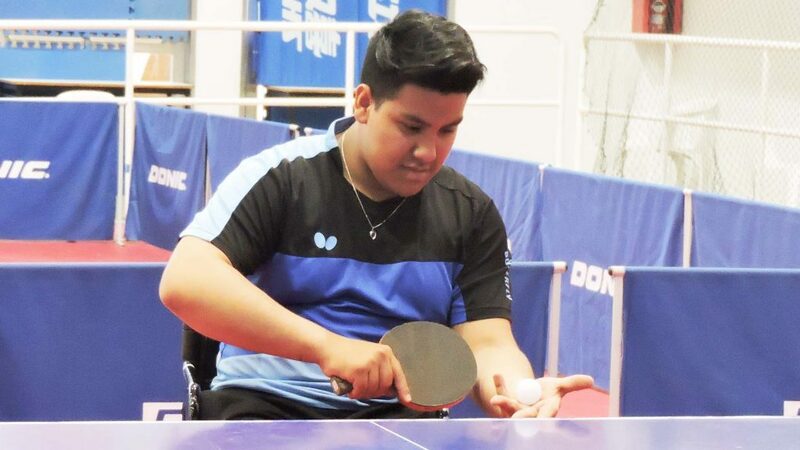 Difficult times for Argentina in Men’s Singles Class 10, not in Men’s Singles Class 7; also organised on the group formula Aleksy Kaniuka finished ahead of compatriots Marcos Gonzalez and Emanuel Martinez with Colombia’s Simon Correa in fourth place. Meanwhile, in the remaining events where play was arranged first on a group basis followed by a knock-out phase, it was success for Argentina’s Elias Romero, Chile’s Matias Pino and Russia’s Aleksei Saunin. After accounting for colleague, Guillerme de la Iglesia at the semi-final stage (11-5, 8-11, 11-4, 11-6), Elias Romero, the winner last week in Chile, clinched the Men’s Singles Class 2-5 title by beating Tomas Caride, also from Argentina in the final (11-7, 11-4, 11-6). Good form from Elias Romero; it was the same in Men’s Singles Class 6 from Matias Pino and in Men’s Singles Class 8 from Aleksei Saunin. At the semi-final stage Matias Pino overcame Ecuador’s Jim Vera (11-2, 11-5, 11-4) before defeating compatriot Ignacio Torres (12-10, 11-7, 11-3) to seal the top prize. An all Chilean final, in Men’s Singles Class 8 it was an all-Russian title deciding contest; Aleksei Saunin overcame Artem Iakovlev to claim the top prize. Earlier in the penultimate round Aleksei Saunin had beaten Ecuador’s Gabriel Salazar (13-11, 11-1, 11-9); Artem Iakovlev had beaten Argentina’s Alejandro Perez.